Are your dolls ready for the big fishing trip? What do you mean they aren't? Lucky you, just look what we found recently at an estate sale. 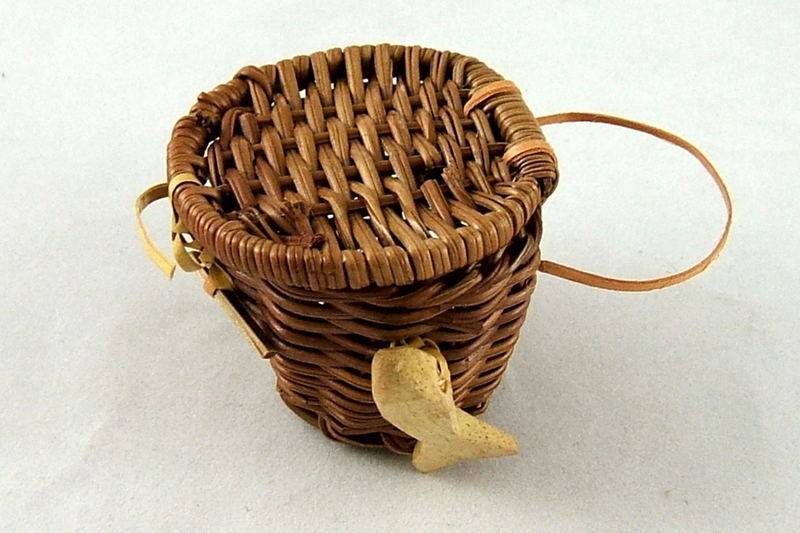 This small vintage wicker fishing basket (fishing creel) is just what your little dears will need to store their catches until they get back from the lake. Circa the 1950s, this doll size basket will look absolutely darling draped over one shoulder, held up by the lovely yellow strap. Of course, your little ones don't have to be fishers to appreciate this basket. It would make a lovely decor item in your doll house. Perhaps a storage bin for their knitting yarn? It measures 1-3/4 inch in diameter at its widest and 1-3/4 inch tall. The strap measures about 3 inches.